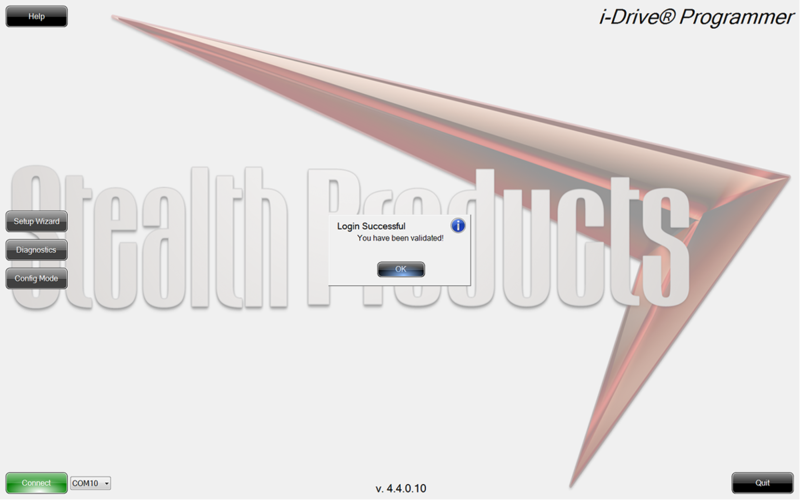 i-Drive® Advanced Programming Software | Stealth Products, LLC. Meet the Advanced Programming Software (APS). This downloadable application is available to easily accomplish performance adjustments in a Graphical User Interface (GUI). Once downloaded and installed in your Desktop, Laptop or Tablet*, the software automatically updates the latest build or version. The APS Requires Windows 7, 8 or 10+ with the .NET 4.6 Framework. The APS is not required for the operation of the i?Drive. 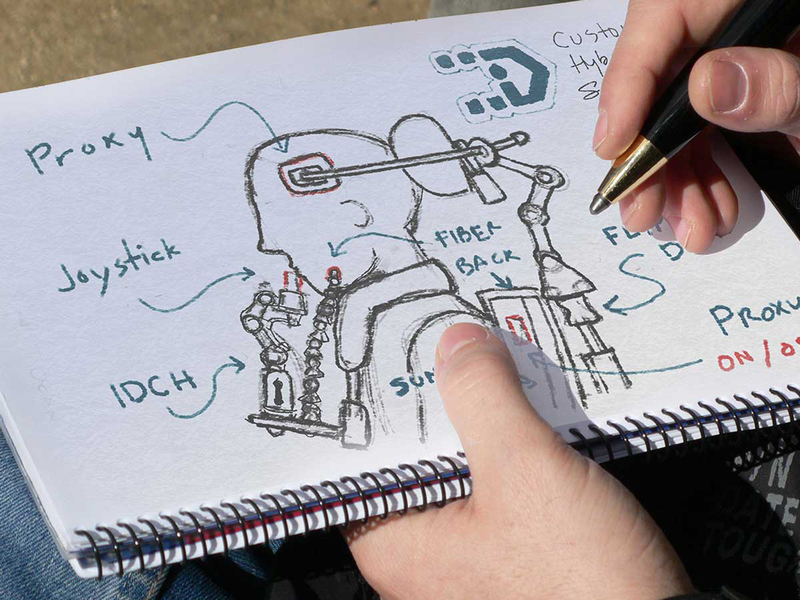 The configurator allows you to easily configure sensors, switches, sip & puff or joysticks in one easy-to-use interface. The family of Applications to configured the i‑Drive are specially designed and develope for security. 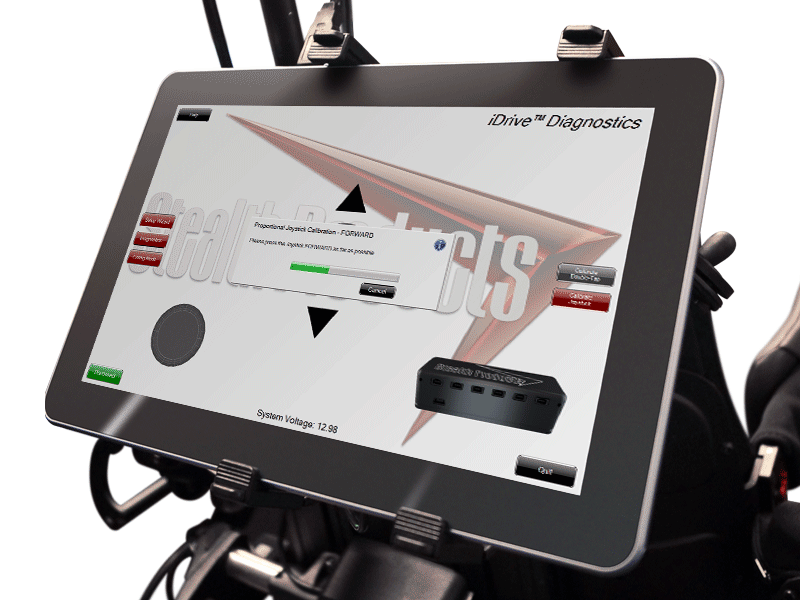 Even though it is easy to connect to any device on the same network through Bluetooth Wireless Technology, as with any other Bluetooth device it needs to be paired before being able to connect, but also, the technician or clinician who's going to configure the device needs to be registered under our Dealer Access Directory System (D.A.D.S). Auto Configuration Wizard: Easy port configuration wizard guide assists you on your first time configuration, or re-adjust your settings. Dynamic Channel Assignment: All ports can control any of the 6 outputs, set it up as you like, in a way that makes more sense to you. Sensor Sensitivity Tuning: change or configure the proximity/motion range required for sensor intruction activation. Double Tap Configuration: Provide an adjustable double tap feature that extends chair double tap limits. Real-Time Diagnostics: Verify your settings on real time, see on screen response time for sensor activation, double tap reactions and performance. Back Up Your Settings: The Windows® downloadable application, for the moment, allows you to save profiles for record keeping. Settings Recovery: With your backed up files, easily recover your settings in case you reset your unit by accident or acquire a more updated unit. Save As Many Profiles As Needed: There is no limit to how many profiles you can save. 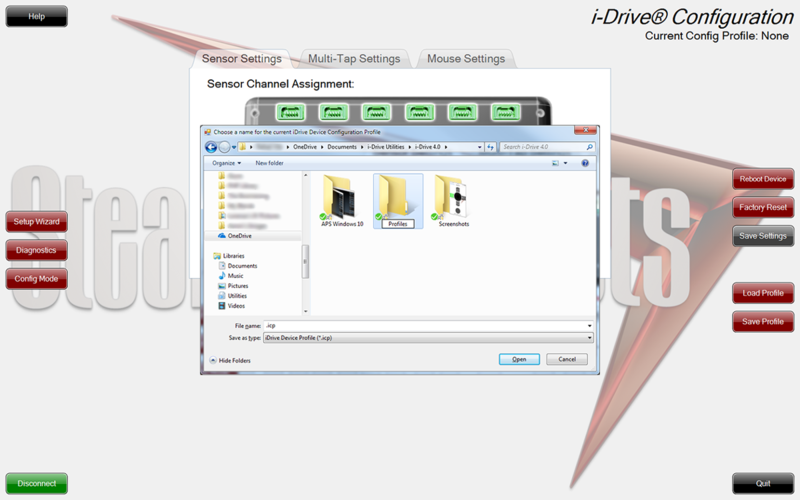 i‑Drive Configuratior Profile (ICP) file format is compact and does not use much storage space. 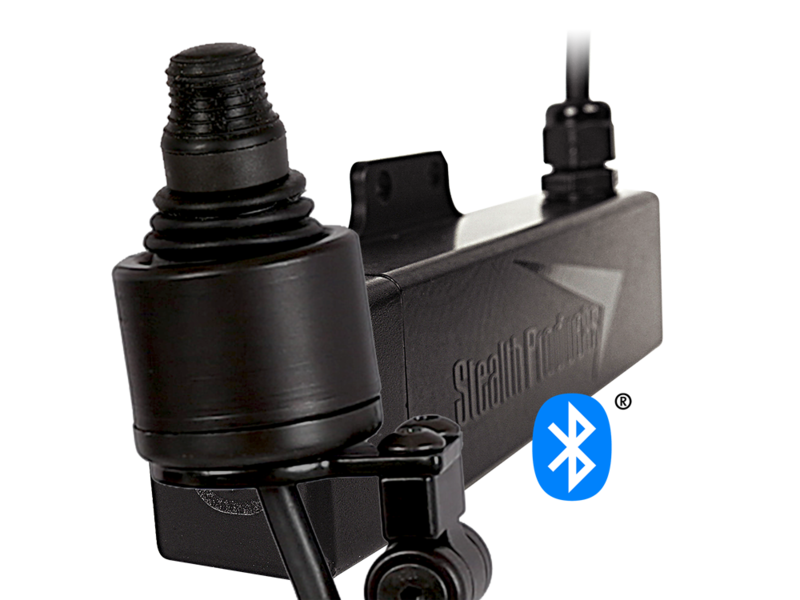 Smart Configurator: The configurator allows you to easily configure sensors, switches, sip & puff or joysticks in one easy-to-use interface. 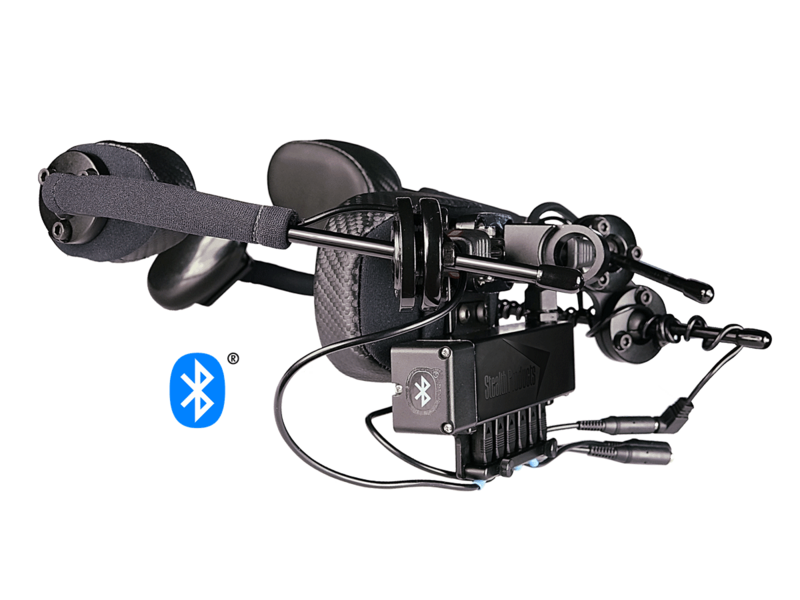 Bluetooth® Wireless Technology: Connect using your tablet, phone or laptop to configure any i‑Drive unit paired with your device. Essential Security: By connecting through USB or Bluetooth, the i‑Drive technician has to be certified and authorized by Stealth Products, LLC. Once the unit is purchased and received, the technician has to contact our i‑Drive Specialist Techs to generate a certified status on our D.A.D System. But as always, ensure that you do not use public Wi-Fi connections while connected to an i‑Drive device. 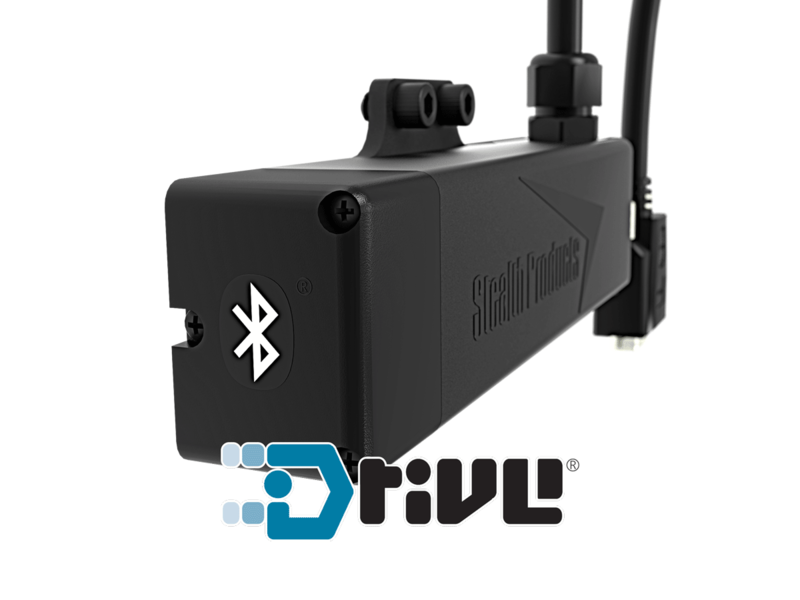 Extend Capabilities with Remote Stop™: While on training or on care of an i‑Drive driver, stay confident with Remote Stop. These apps allows you to brint to a complete stop an i‑Drive controlled power chair by disabling any instruction sent by sensors or joysticks. OS Requirements i-Drive APS require .NET 4.6 Framework. 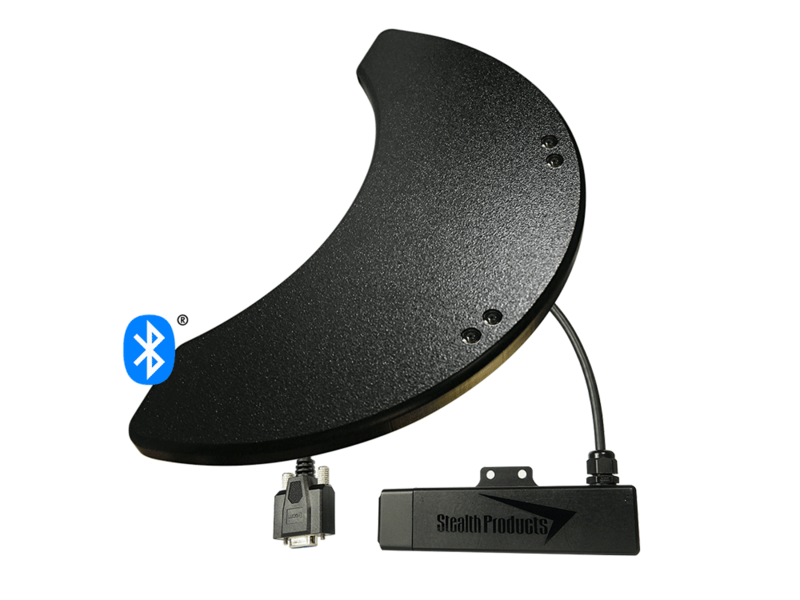 Bluetooth Wireless Technology it is only available for Windows 8 or Windows 10+. USB Version works for Windows 7 and up. i-Drive Mobile requires Android 5.0+ or iOS 8.0+, Location Access, Bluetooth® Wireless Technology available/active and Full Network Access. Internet Connection is required. Under metered connections this might incur on charges, depending your carrier contract guidelines. To see all requirements for Android or iOS Devices as well as Windows visit the official download page. 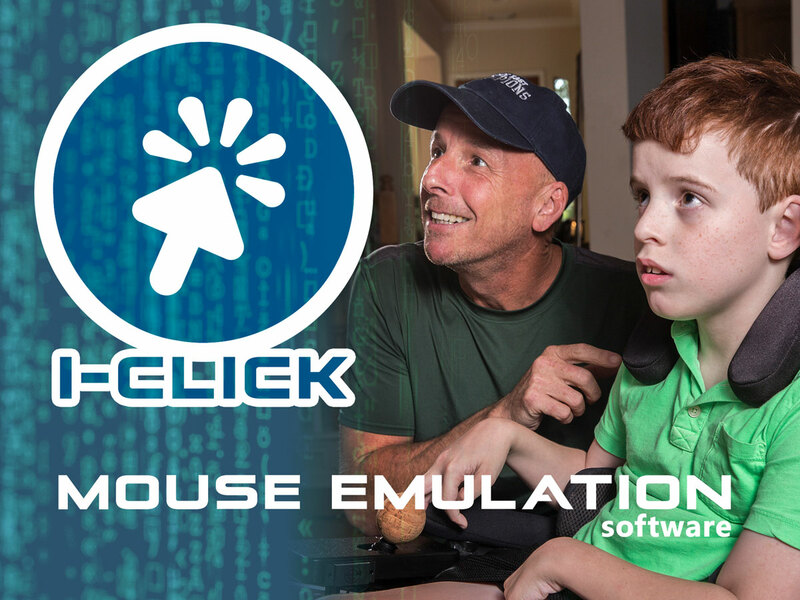 The i‑Click Mouse Emulation Software connects your Bluetooth® enabled i‑Drive® 4 to your PC or Mac, transforming your alternative drive control into a fully functioning navigation device. Full screen navigation, left, right, double click functions, fine speed controls work seamlessly together to give you complete control of your computer. The software is intuitive and easy to use, and tucks away in the system tray to provide a transparent user experience. 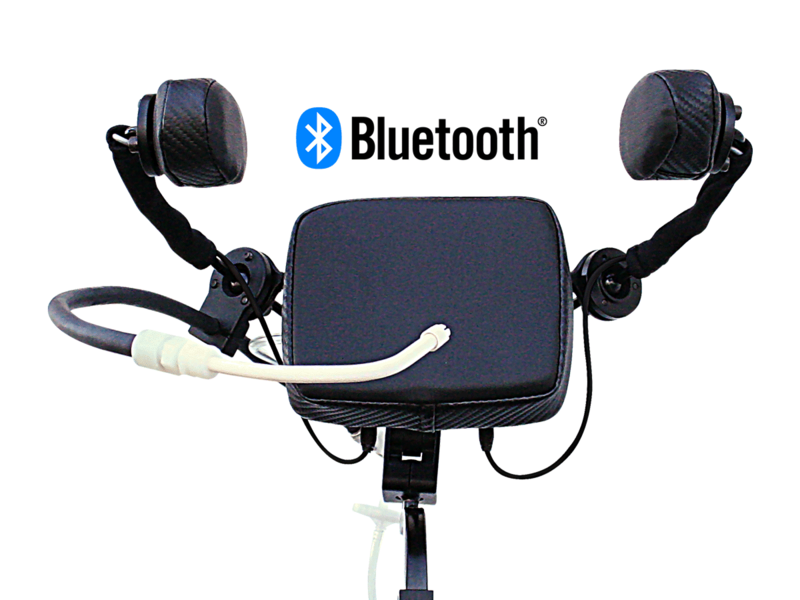 Easily connects and disconnects from the i‑Drive control system, allowing you to transition from chair control to computer control and back. Set up is simple! The process is designed to allow families to set up on their own, without the assistance from a knowledgeable sales rep or dealer. Set up instructions can be found in the i‑Click user manual. OS Requirements and License System Requirements Operating Systems: Windows (8 or 10), Mac OS X (10.10) or greater The system must have Bluetooth Hardware v4.0 (BT Low-Energy, BTLE) in order to connect with the i‑Drive interface. 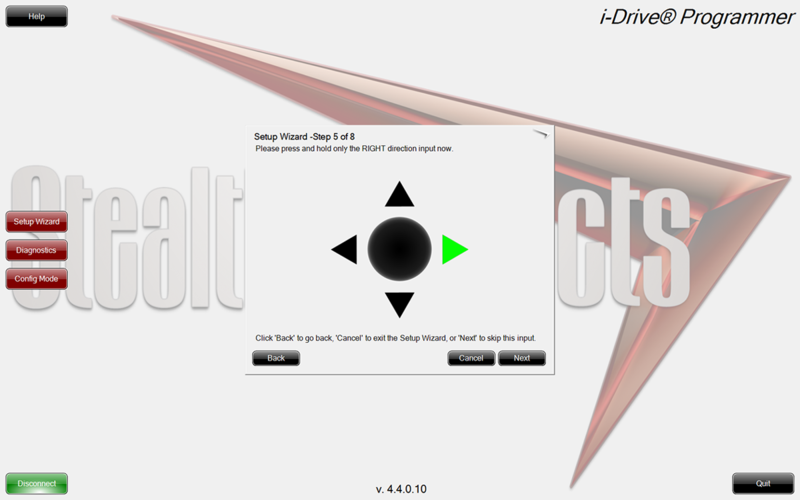 The i‑Drive 4.0 requires three input assignments, Up/Down, Left/Right, and Click. These mouse functions can be assigned to inputs via the configuration app. 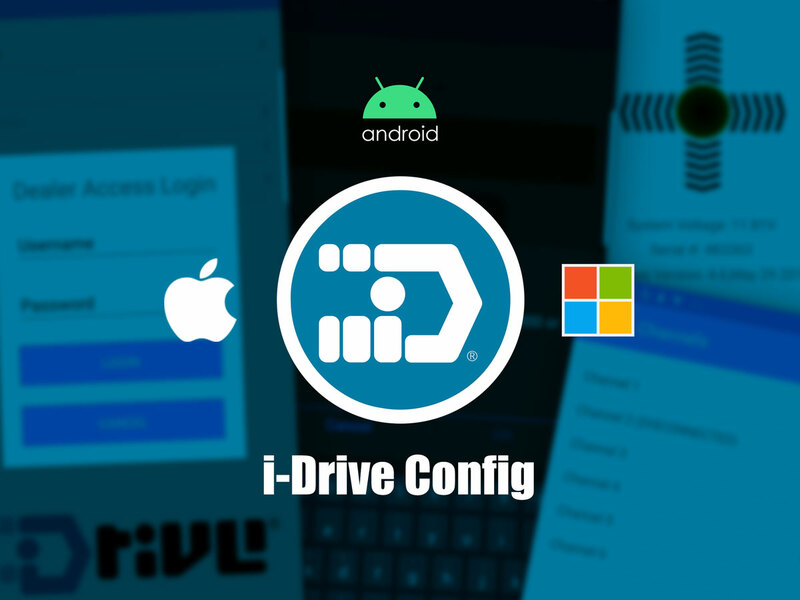 License Information: The software is licensed to a specific i-Drive 4.0 hardware serial number, but can be installed on an unlimited number of devices. The license is also tied to the log in profile on the device. With multiple log in's, one PC can be used with multiple i-Click licenses.